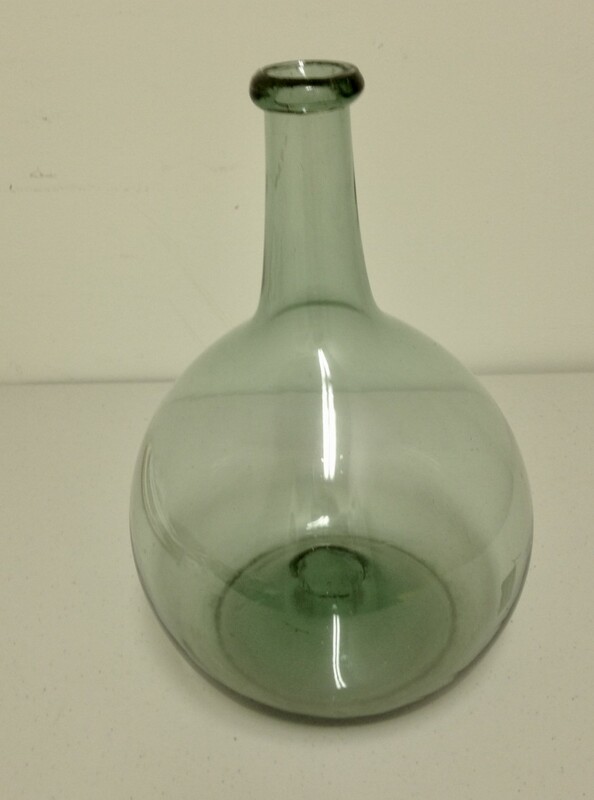 Super Extra large (11 1/4″ tall) Mid Western Globular Bottle, great, gutsy form. Nice rough 1 3/8″ pontil and bold lip treatment. Strong blue green aqua color. Excellent condition with no stains, no damage and no exterior scratches. A very fine extra large Mid Western glob!